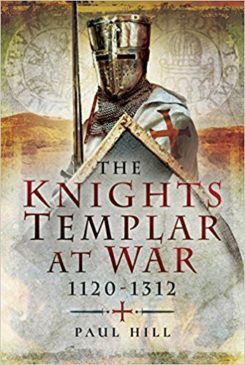 There are many books about the Knights Templar, the medieval military order which played a key role in the crusades in the Holy Land, the Iberian peninsula and elsewhere in Europe. What is seldom explored is the military context in which they operated, and that is why Paul Hill’s highly illustrated study is so timely, for he focuses on how this military order prosecuted its wars. The order was founded as a response to attacks on pilgrims in the Holy Land, and it was involved in countless battles. Paul shows how the Templars were funded and supplied, how they organised their forces on campaign and on the battlefield and the strategies and tactics they employed in the various theatres of warfare in which they fought. Templar leadership, command and control are examined, and sections cover their battles and campaigns, fortifications and castles.